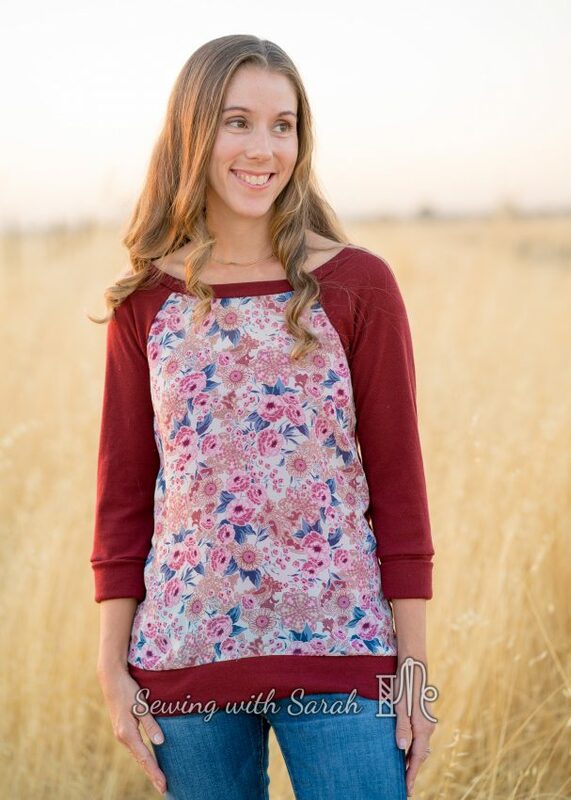 When I first started sewing indie patterns I was shocked that pretty much every designer had a raglan pattern. Why, I wondered? Don’t they know that style has already been “done”? 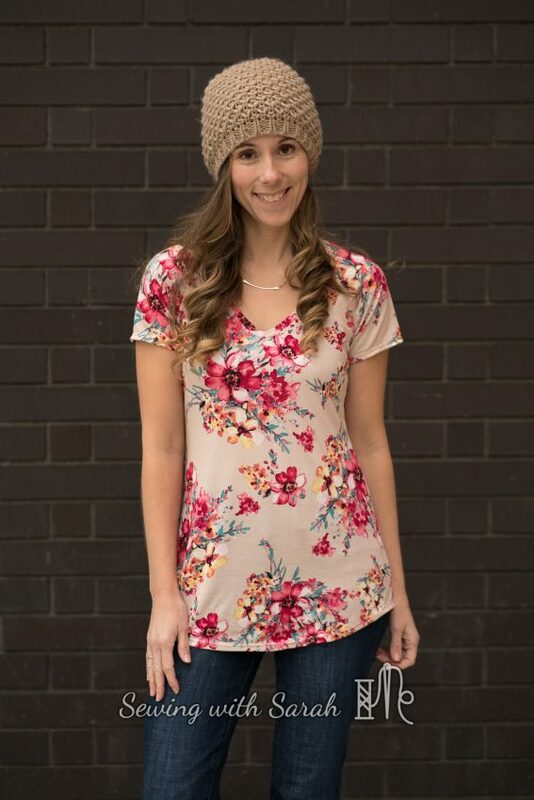 After sewing a couple though, I quickly realized that while the basic design was the same, they all put their own spin on the fit, style, and options included. With dozens of choices out there, then, how do you decide which one is the best for YOU? I see this question come up frequently – so I’m taking one for the team (#goteamraglan) and sewing and comparing as many as I can. I hope its helpful! 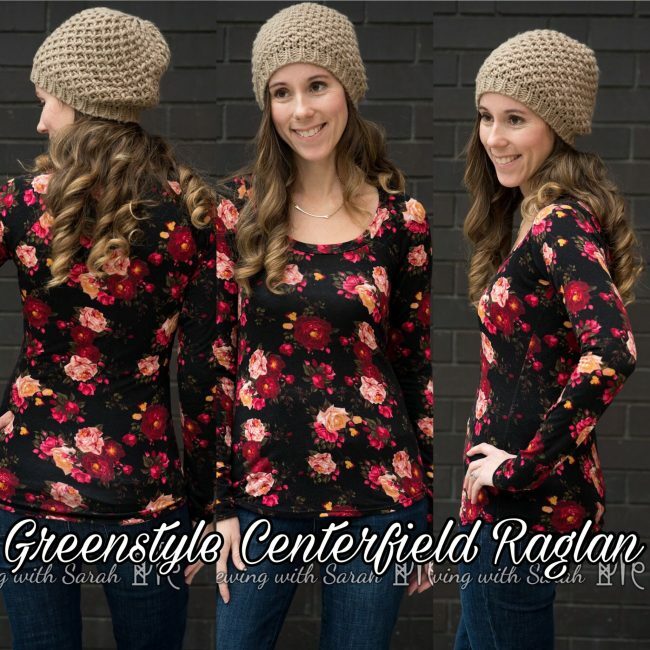 Today, I’m sharing the first 4 patterns in my Raglan Comparison series: The Greenstyle Centerfield Raglan, the Hey June Lane Raglan, the New Horizons Riviera Raglan and the Blank Slate Rivage Raglan. Most were sewn straight out of the envelope in similar fabrics for comparison purposes, but if I made any modifications, I will let you know! About me: A little TMI about me and my body type, for comparison purposes: I’m an hourglass/pear shape, with a A/B cup bust and 5’2″ tall. 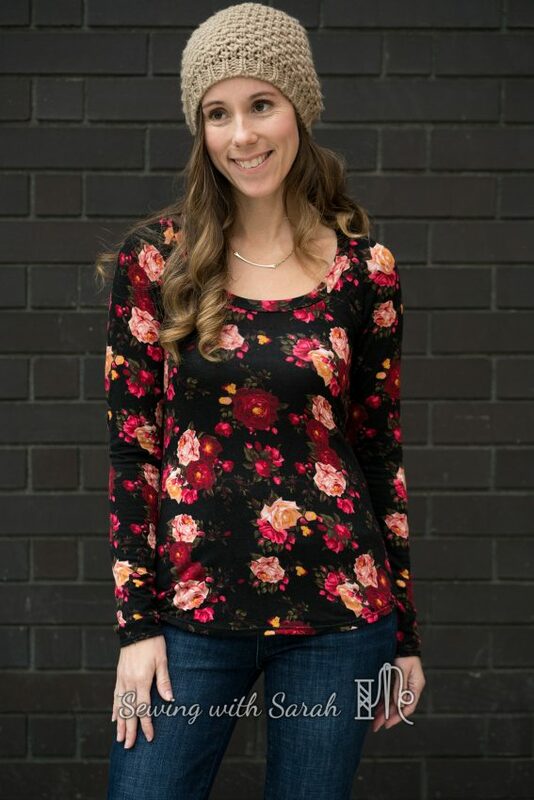 Most of my height is in my torso (which really came in handy when I was carrying twins), so I never make adjustments to tops for my height- but I’ve got REALLY short legs! Ready for raglan-a-palooza (I came up with dozens of these lame sayings while I was sewing- this won’t be the last, I’m afraid to say. Putting up with them will be the price of my comparison series.)? Let’s get started! Tip: Here’s a quick comparison table to get the ball rolling- and then I’ll dive into the specifics of each pattern. Want to see a side by side comparison of all four from different angles? Scroll to the bottom! Size/options sewn: XXS, curved hem, (shorter) long sleeves. Modifications made: Lowered neckline several inches for nursing. Standard neckline is a high scoop. Thoughts: Greenstyle never disappoints when it comes to a good, athletic fit. 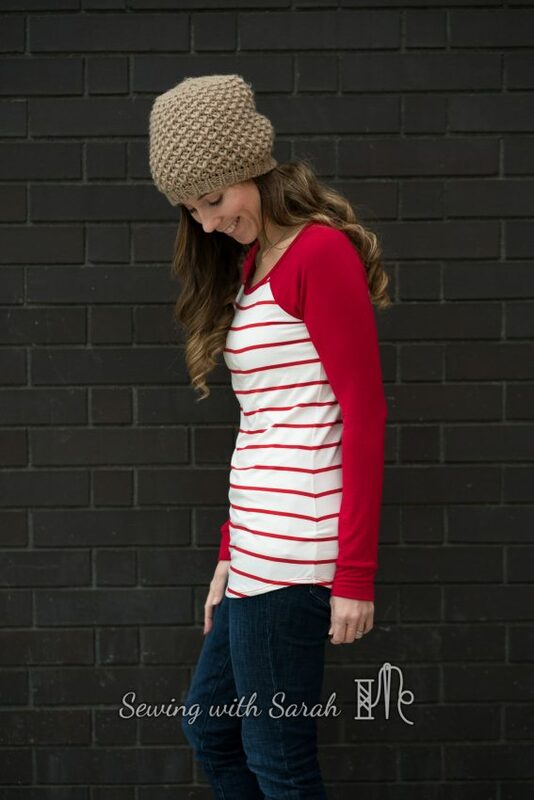 This is the most fitted raglan I tried- it isn’t skin tight, but it does hug me in all the right places. I love that there are multiple sleeve lengths in the long sleeve option, for those of us that have extra long or short arms (I’m in the latter category, if you’re wondering). This pattern includes an optional add on pack for $4 with a 3 piece hood and cowl option. Hood is shown below in yoga knit from Knitpop (full blog post here). 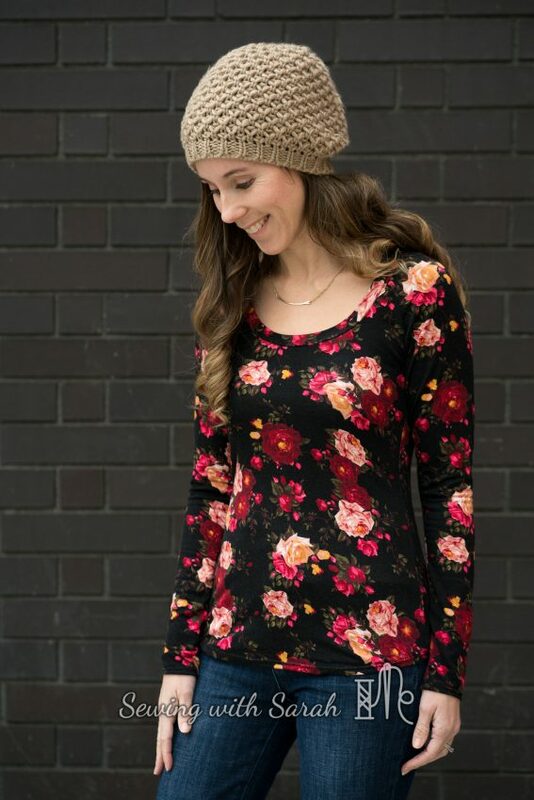 Heart and oval elbow patches are included in the main pattern- I’m dying to make a sized up version for valentine’s day with the hearts! There’s also a separate plus size pattern available. Greenstyle drafts for a height of 5’7″ and a C cup bust, but I’m neither (size a/b cub thanks to nursing three kids) and don’t need to do any adjustments- I have a long torso and chose the size based on my bust measurement. Because of the slim fit, if you are a larger or smaller size in the hips/waist, I would recommend grading in/out. No hip/waist measurements are listed, but you can estimate based on your experiences with other patterns. My straight XXS is a perfect fit- but I might add a little extra room in the hips next time- a common adjustment for me. Size sewn: XS, curved hem, banded sleeve option. Thoughts: The Lane is another crowd favorite, and its easy to see why. I’ve made it and hacked it multiple times. 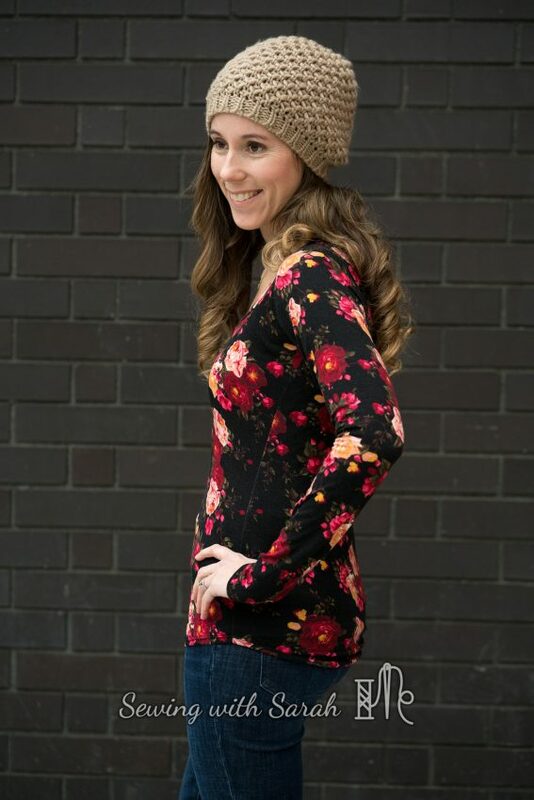 For this post, I chose a bamboo spandex blend and made my measured size, an XS. The fit is looser than the centerfield- I’d describe it as “semi-fitted”, with a bit of ease all over. The neck is lower and wider than most of the other raglan patterns, which makes it nursing friendly as drafted, though sometimes my bra straps peek out a bit. 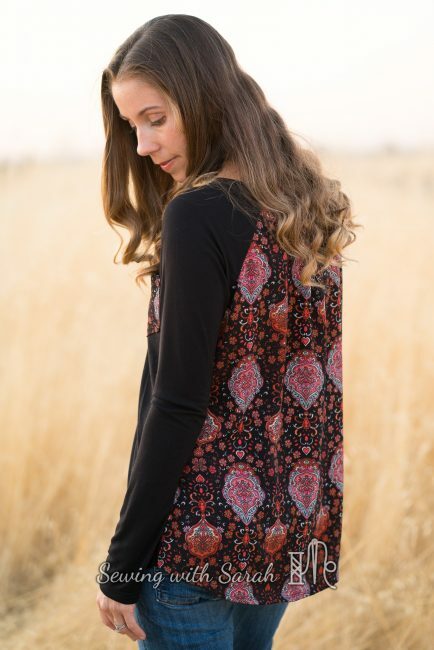 The raglan seams are also positioned farther into the body of the top than several other patterns, which is a nice casual look. 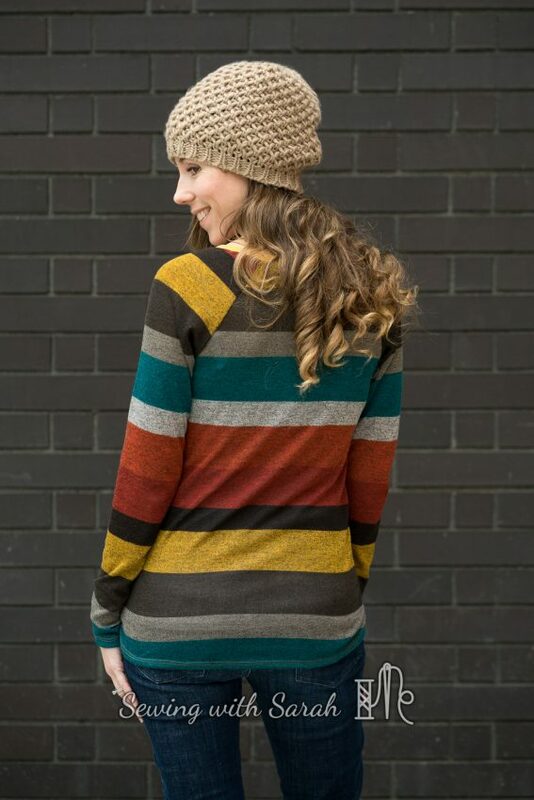 The pattern includes a FBA piece (Hey June drafts for a B, without the FBA) and a hood, thumbhole cuffs, and a chest pocket- no add on pack needed. The pages do need to be trimmed, which isn’t my favorite part of sewing, but if you use this tutorial, it goes pretty quickly. Hey June drafts for a “B” cup and a 5’5″ height. Size sewn: XXS, hi/low shirt option. Modifications made: Because I had to remove the original sweater knit neckband, the neck ended up slightly wider and lower than the original pattern. Thoughts: This is one you don’t see very often, but that’s a shame. I like the relaxed fit, and while I’m not in love with the hi/low hem on the striped fabric, I think it would look really cute in a solid. 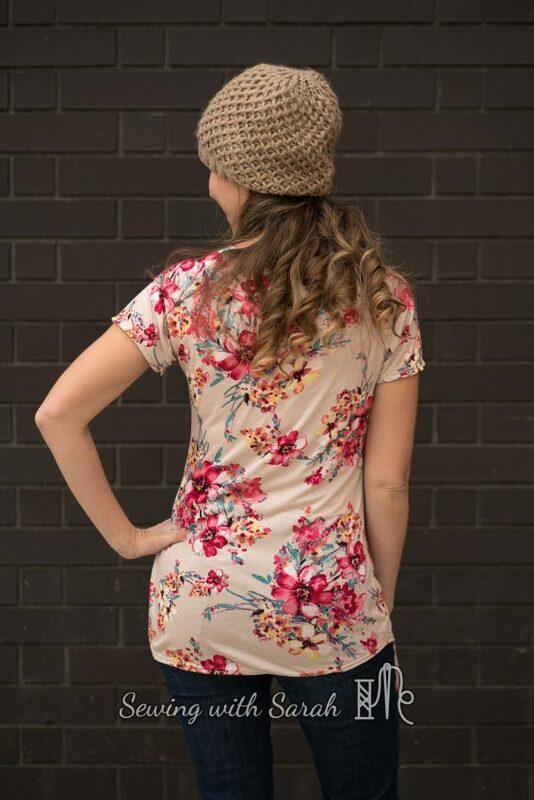 The Rivage also includes a dress length, which most raglan patterns don’t- so that’s a nice unique feature. A chest pocket is also included, but no other options, so if you want a hood or a lot of add ons, this might not be the right one for you. The pages need to be trimmed, and while there aren’t any layers, the designer does offer to ship a printed copy of the large format for a small fee. 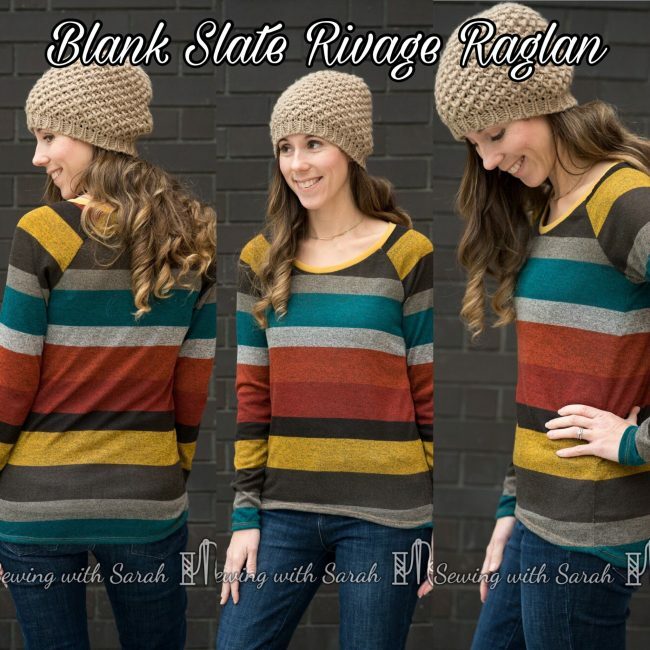 A basic, but solid relaxed raglan pattern that I’m happy to have in my collection. Blank Slate drafts for a C/D cup and a height of 5’4″- I did feel like this one ran a bit shorter than the others, but it was hard to tell with the hi low hem. If you’re really tall, you’ll want to lengthen it for sure. Blog posts/hacks: None that I could find. If I make it again I’ll probably hack it to include a straight or banded hem. Modifications made: None. I sewed the V neck view with short sleeves. Thoughts: Holy moly! 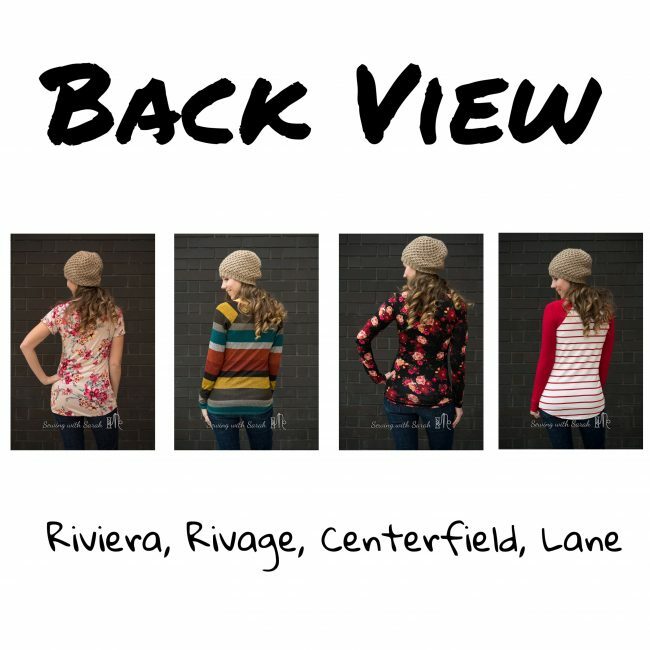 The Riviera Raglan pattern is packed full of unique options! 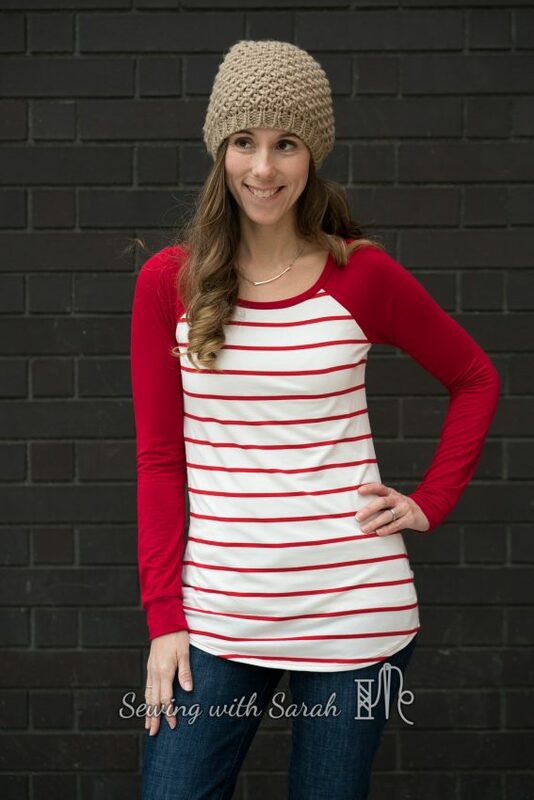 It’s the only raglan I’ve come across so far that includes a v neck, tank and a henley placket option, among others. 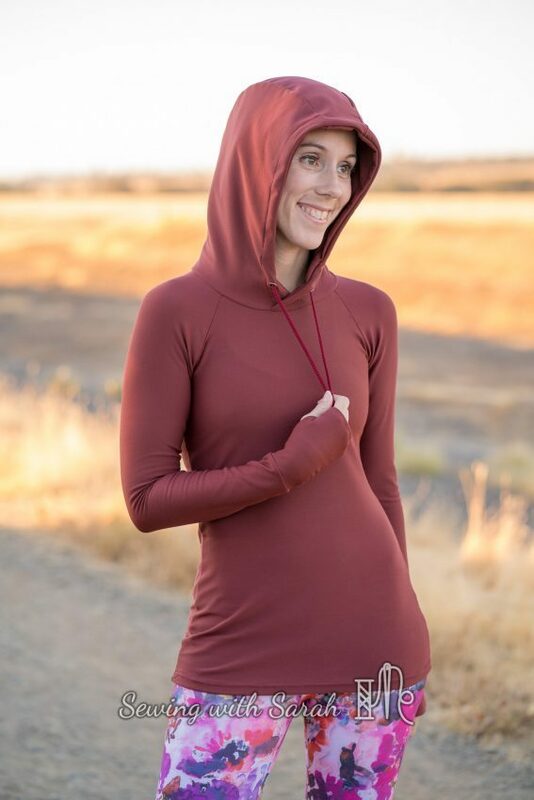 Thumbhole cuffs and a hood are also included. I only had enough fabric for short sleeves (brrr….) but I know this will be a favorite once the weather warms up a bit. 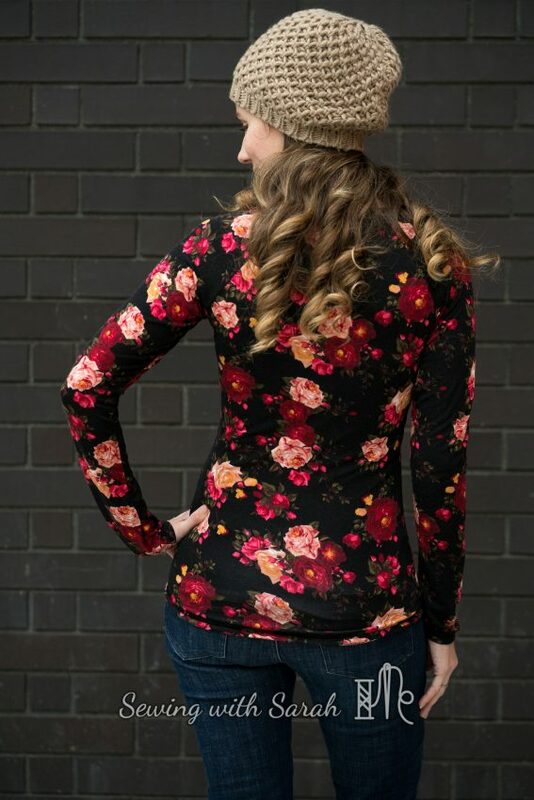 I would describe it as fitted in the bust with slightly more ease in the waist and hips- very flattering for the “mummy tummy”, or just for a looser look over leggings. It also goes down to one of the smallest bust sizes I’ve seen- 29″. New Horizons patterns are drafted for a B/C cup, with a D for sizes 20 or 2x and up, and a height of 5’5″. This didn’t feel short on me at all- I actually like the bit of extra coverage over the rear! I have to admit, this one really surprised me- I love it and will be making it again in the future, and exploring some of the other great options (when I start feeling the need for more raglans…which could be tomorrow or not for another 5 years). I’m dying to know- what is your favorite of these four? Do you have something specific you’d like to see me review? Drop me a comment and share your thoughts! Want to make sure you don’t miss the other posts? Subscribe to my blog here, and follow me on Facebook and Instagram here! 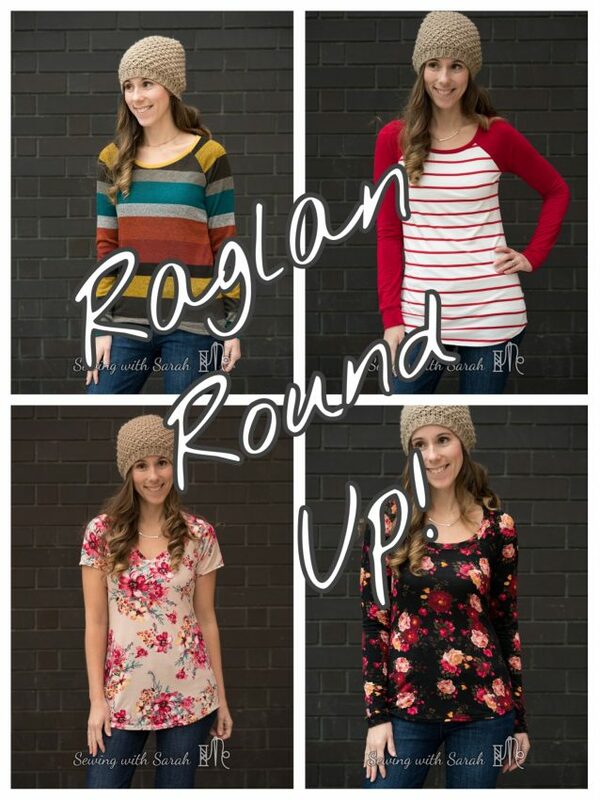 Curious about the rest of my closet (hint: it isn’t all raglans)! You can lurk my closet on Pinterest here! Note: This post contains affiliate links. The fabric/time to make a dozen or more raglans doesn’t come free, though I admit it was fun. I’d love it if you clicked on any of my links- there’s no cost to you, but it helps me keep things running. Thank you Sarah! So great you are doing this- I’m learning so much from you. Are you planning on doing P4P slim fit? Hope so. You are adorable!! Yes- I will definately be doing the SFR! Thanks for the comparison. I really love your fabric color choices for each cut. I want to add elbow pads to the stripey one. And the riviera with the v-neck and short sleeves is so flattering for your (and my also pear-shaped, small-busted) body type – it was meant to be. Elbow patches would have been really cute on that one! And I agree- the riviera is very flattering! Thanks for this post! You’ve done a great job and it’s very helpful. Your tops are all so pretty! I think my favorite is the centerfield on you. I’m such a sucker for a nice fitted top. 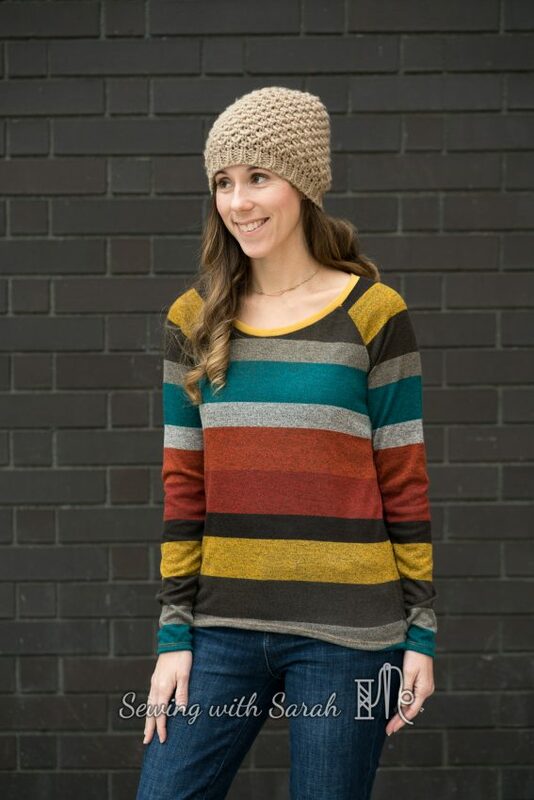 Your stripe matching is amazing too! Great comparison post! 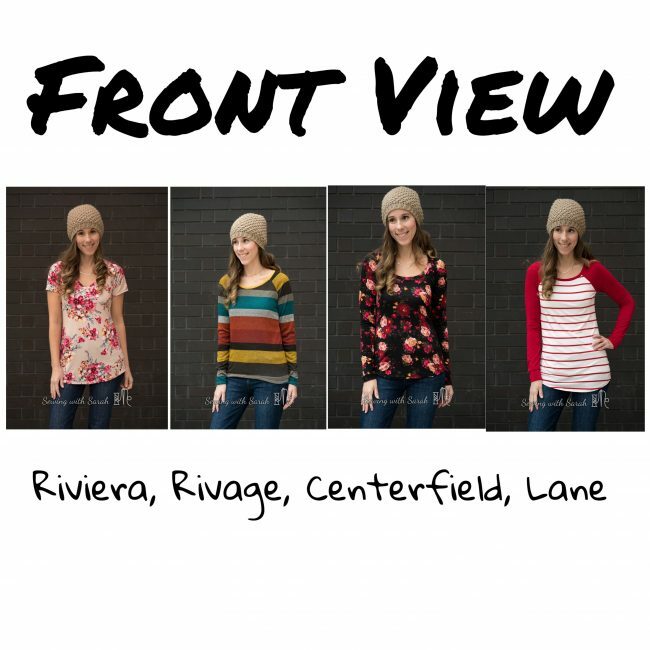 I love the fit of the centerfield- its perfect for layering! And I love your maternity mod- I hope it was OK for me to link it! 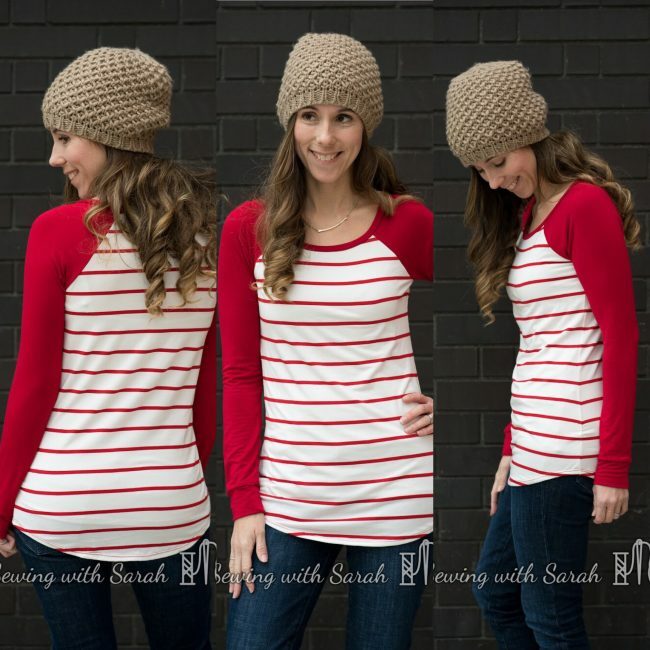 Thanks Sarah, I’ve been wanting to get a raglan pattern for ages but there are SO many out there that I’ve never known which one to choose. They all look fantastic on you but I’m leaning towards the Riviera. The options make it fantastic value. I totally agree- the number of options in this pattern blew me away! I’m surprised it doesn’t get made up more! Great blog post! I can’t pick a favorite, either! I’ve made them all except the Rivage. In fact, I JUST made a handkerchief hem Riviera, and it’s awesome!!! 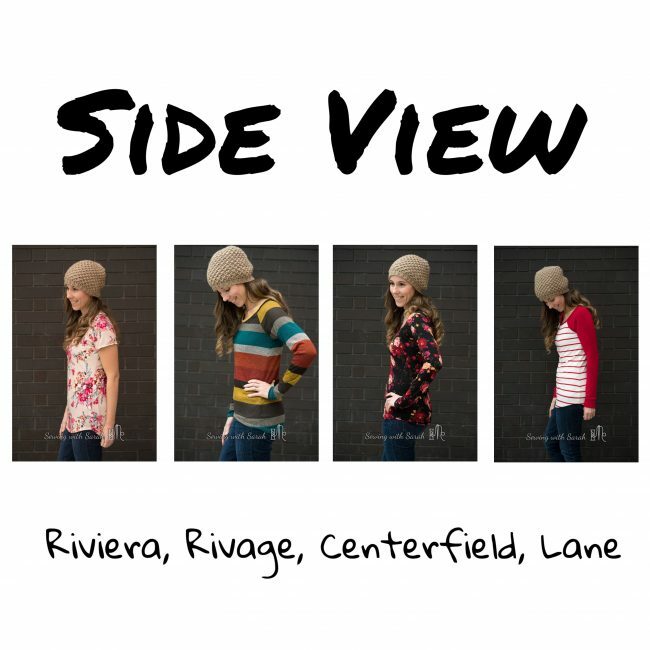 I agree with Fritg – the Riviera’s options are a major selling point for that raglan pattern. I’ve already got the Hey June Lane and have sewn it a few times; I love the fit (“semi-fitted” as you said. Not baggy and not skin-tight. Perfect!) and the options from the other versions that I was eyeballing, such as the hi-low hem on the Rivage, can be easily hacked. So yeah, even though I already have my TNT raglan pattern, seeing all of the other options that come with other raglan patterns is giving me great ideas for how to change it up for future makes. Thanks so much for doing this comparison! That’s another really great way to look at it- if you have the skills to hack it, and a great fitting TNT pattern, then it’s a great chance to glean some new ideas! Loce the Riviera Raglan. It comes with do many options already included! It is worth every penny. I agree- it has a lot of bang for your buck! That one is coming up soon! Sarah thank you so much for doing these comparisons. I still trying to figure out my goto Raglan and need to try the Riviera. Talk to me about the nursing neckline. Doesn’t it stretch out? So far, it’s been great. I think they key is to have it put on with an appropriate amount of stretch to begin with and to use a fabric wth good recovery, like the ponte with Lycra or rayon spandex. For me, the angle of the raglan sleeves is the key. If that angle is wrong, it can make the wearer look like they are hunching their shoulders, or make their head seem small (basically like the top of an arrow!) The angle is not really noticeable on the ones you made here because of the busy prints. Except on the Lane, but I feel the Lane is the winner of the angle game! The other issue I notice often with Raglans is a small wrinkle under the armpit across the top of the bust. Again, you aren’t having this issue because in my opinion, it’s mainly a FBA issue but also has something to do with the angle of the raglan sleeves (back to that again!) So once again for me, the Lane is the winner due to the FBA piece. And finally, I’ve hacked the Lane into a cardigan (post on my blog) and I’ve seen it with the Halifax cowl neck too. I really like the angle of the lane- I agree it is quite flattering. If the angle is too far toward the shoulder, it doesn’t look good on me. The prints do hide it a bit- but all 4 of these work for me in that department. I think wrinkles on sleeves are unavailable with raglans, but agree, a wrinkle across the bust would indicate a need for a FBA. Unfortunately I don’t have alot of experience with those, but it sounds like you’ve got the fit dialed in for the lane! I’ll go check out your hack post- that sounds awesome! And the cowl would be a great addition! BTW your stripe matching on the Rivage is epic. Do you have some special technique to get the arms to match up with the front like that. I usually just line the cut piece up against what I am cutting to try to match it, is there a better way to do it? mine comes out ok, but yours is perfect! That sounds like what I do too- Just lay out the pieces next to each other, and see how they will match along the seam line. Thank yoU! My problem with Raglands are they set to far down on my shoulders but these are beautiful. So you feel like the neckline is too wide? I linked a good blog post on narrowing it, if that is the issue. If not, let me know and I’ll see if I can think up something that might help! Fantastic post!! They all look great on you!! I’ve only sewn the lane and it works really well for me. The Lane is an awesome pattern- but there are lots of other fun ones too!